The Society of Properties Artisan Managers (S*P*A*M) is now accepting applications for its grants to help support early career props professionals. The deadline for each is May 15, 2019. The Edie Whitsett Grant is an annual award given to an individual wishing to further their career in theatrical properties. This grant is to assist with expenses related to completing an internship, such as transportation, housing, or other necessities. Edie Whitsett was the longtime property shop manager and a frequent designer at Seattle Children’s Theatre. She also created sets for Village Theatre, Seattle Opera, ACT Theatre, Pacific Northwest Ballet and other arts entities. 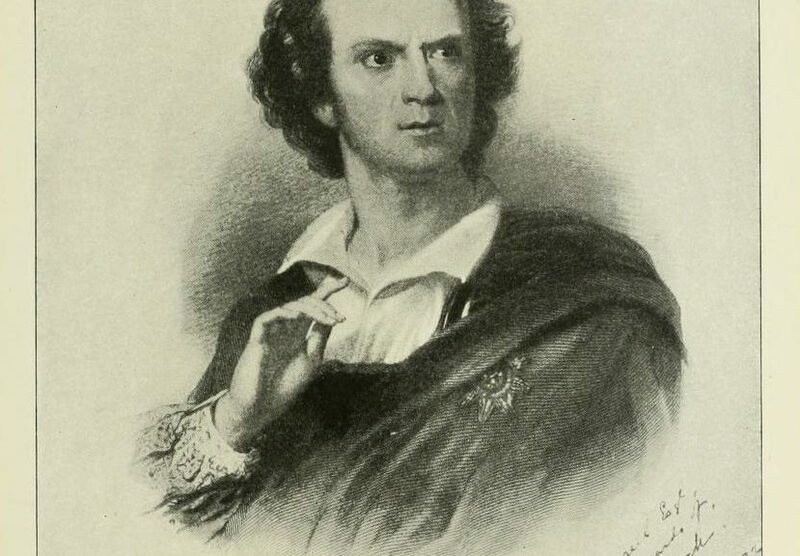 Whitsett’s honors included an Artist Trust fellowship, a commission for an art installation at the Seattle Public Library’s central branch and two Seattle Times Footlight Awards. To honor Edie’s commitment to children’s theatre, this goal of this grant is to award it to someone who is interested in working with children’s theater, but it is not limited to only that. Cover Letter including details on your internship (where and when), any additional compensation that might be receiving during that time and an estimate of anticipated expenses. Please submit application to: Jim Guy, SPAM President at jguy@milwaukeerep.com. All items must be received by May 15, 2019 and grants will be awarded June 15, 2019. 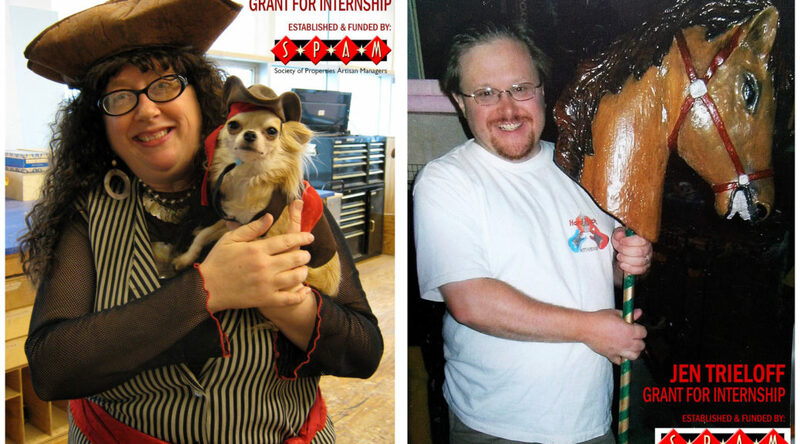 For a full list of member theatres with internships, please see our website at www.propmasters.org. The Jen Trieloff Grant is an annual award given to an individual wishing to further their career in theatrical properties. This grant is to assist with expenses related to completing an internship, such as transportation, housing, or other necessities. Jen Trieloff was Properties Director for American Players Theatre in Spring Green, Wisconsin and Forward Theatre in Madison, Wisconsin and has served as Prop Master and Prop Designer for Madison Rep and Madison Opera and Ballet among others. He was an accomplished craftsman and scene designer whose work was seen on stages inside and outside of Wisconsin. With 2018 coming to an end and 2019 starting up, it’s a good time to look at the past year and see the biggest news in the world of props. 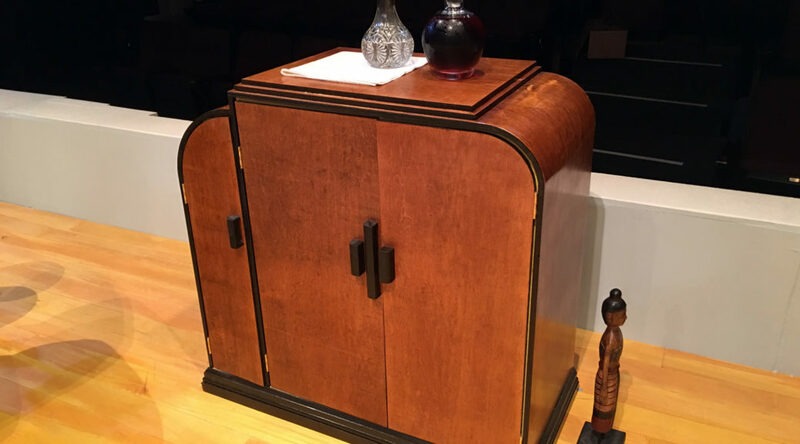 Reflections on the First USITT Props Lab – The prop department has long found itself lumped in with the Scenic Design Commission at USITT, which often gives us no representation at the conference. However, this past year saw the introduction of the first Props Lab, which gave us continuous demonstrations and hands-on workshops right on the Stage Expo floor for three straight days. I have also heard rumors that Props might attempt to become its own commission at some point in the future. 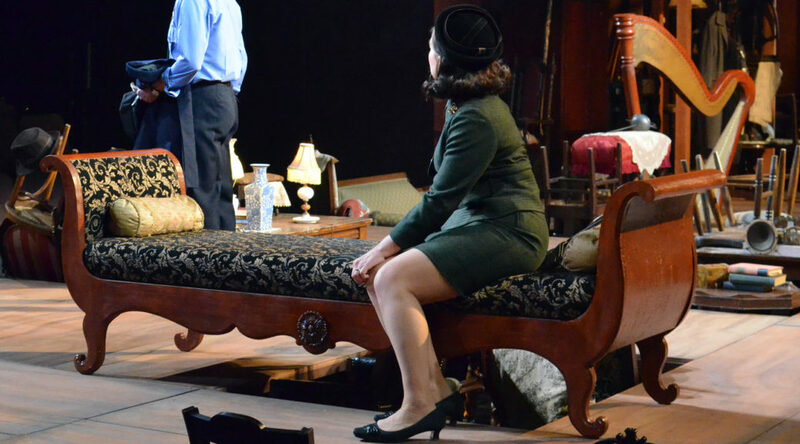 ‘Props’ go to Wheaton: Exhibitions celebrate stage, movie, TV artistry that usually goes unnoticed – Elizabeth Keithline curated an amazing art exhibit this year that pulled together props from the worlds of film, television, opera, and live theater, and displayed them in a way that highlighted their own artistic merit. The show included work from Ross MacDonald (National Treasure, The Hateful Eight), Annie Atkins (The Grand Budapest Hotel), Carl Sprague (Isle of Dogs, La La Land), Buist Bickley (Spongebob: The Musical), Randy Lutz (The Santa Fe Opera), Jay Duckworth (The Public Theater), and me (this blog). Hong Kong Court Convicts Props Master for Possession of Fake Cash – In a strange turn of events, a props master in Hong Kong was convicted for the possession of fake cash while on the set of a film. This conviction threw the local film industry into a state of shock. Luckily for the props master, the conviction was overturned a few months later. The appeal was won on a technicality, though, so props masters in Hong Kong continue to wonder how they can use fake money in films without falling on the wrong side of the law. 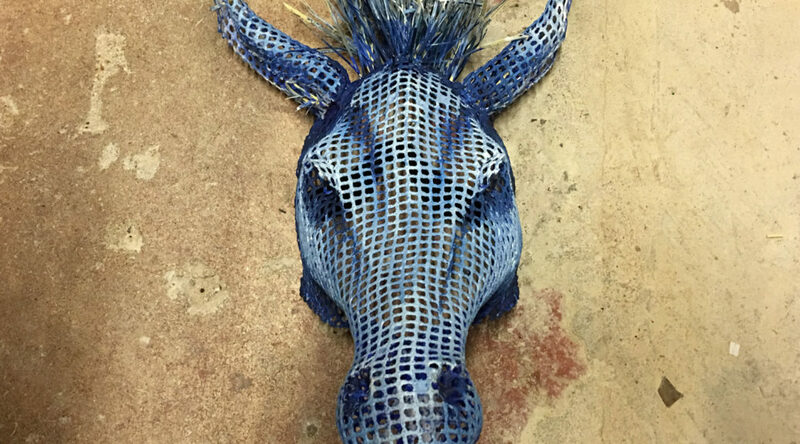 The First Annual Maker Faire Prop Contest – As the world of hobby prop making continues to explode, the original Maker Faire in the Bay Area held their first ever Prop Contest, with winners announced during the 2018 Faire. 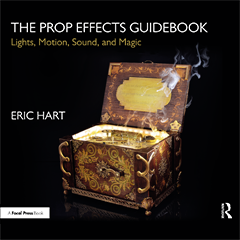 The Prop Effects Guidebook – My second book was released this past year, covering all the different kinds of effects we use in props: lighting, pneumatics, blood, breakaways, sound, and much more. Silk Flowers and Papier Mache Hearts – This year also saw the launch of an all-new podcast by Ashley Flowers and me. 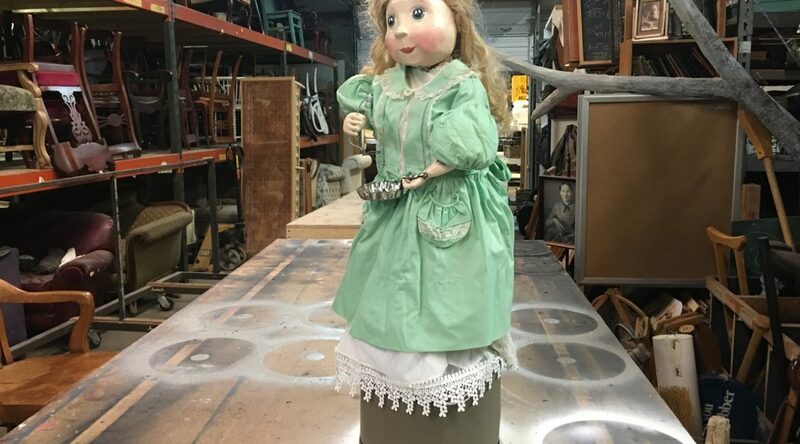 It may be the only podcast dedicated solely to props in the performing arts. We have already had a great array of guest stars, and have covered some wonderful topics, and are looking forward to having even more guest stars in the coming year. Inside the one-ton, history-making King Kong Broadway musical – If I had to pick one prop from the past year that deserved a spot in this year-end wrap-up, it would definitely have to be the King Kong puppet from the new Broadway musical. Though the reviews on the musical itself have been mixed, everyone agrees that the one-ton semi-animatronic puppet is a work of staggering genius. In Memoriam: John C. Taccone, IATSE Stagehand – The props world lost one of its long-time members this year. John Taccone was on the props crew at the New Amsterdam Theatre for over twenty years. That’s the end of my list of the most important stories in props for 2018. What are yours? Get Up Close With the Props of Dear Evan Hansen – Take a look backstage at the hit Broadway show to see how the props are stored. This series of photos is a great look at all the minute detail that goes into preparing seemingly ordinary props. Even the most mundane details have some story behind it, or some kind of trick rigged into it to make the show run smoothly and consistently. Woman’s Day Magazine’s Star Wars Playset Designs (1978, 1980) – In two separate issues in 1978 and 1980, Woman’s Day Magazine published plans and instructions to construct Star Wars playsets for the popular action figures. These plans had you build them fully from scratch, using sheets of plywood, plastic, laminates, and other raw materials. This article includes links to the original plans as well, so grab them while you can! 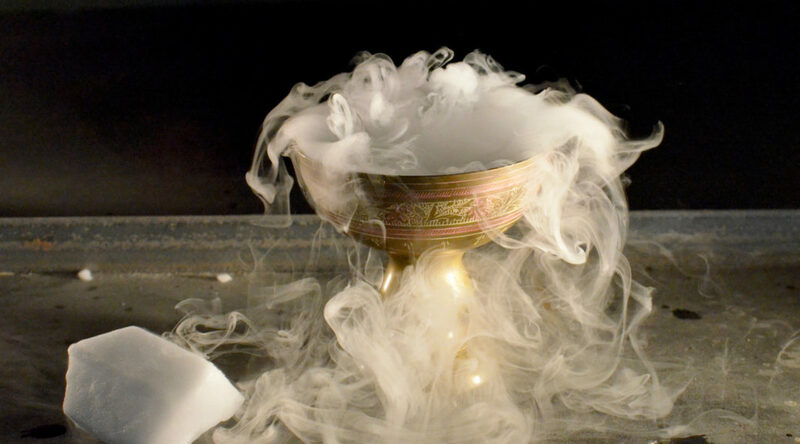 The Secret Tools Magicians Use to Fool You – In another photo series, Louis De Belle has photographed devices used by magicians for his upcoming book, and shares a few of them with us here. He doesn’t actually give away how any of the tricks work, but it is a fun exercise to guess what each magical prop accomplishes. National Theatre explores “exquisite miniature world” of stage set models – The National Theatre in London has an exhibition of some of the set design models for shows that have been produced there since the 1970s. The exhibition runs until March 2019, and was curated by Eleanor Margolies, author of Props (Readings in Theatre Practice). 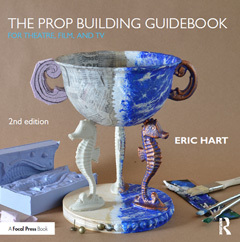 I am Eric Hart, a prop builder and the Props Master at Triad Stage in North Carolina. 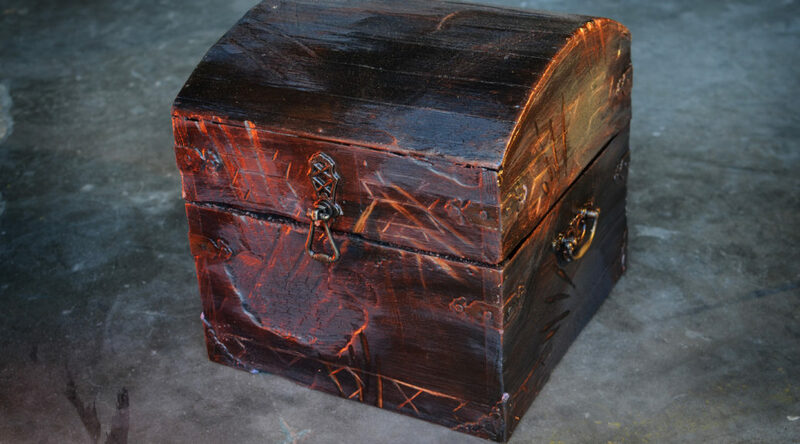 This site is a way to share my work and the things I've learned over the years, and to connect with other prop builders, props masters, and artisans.